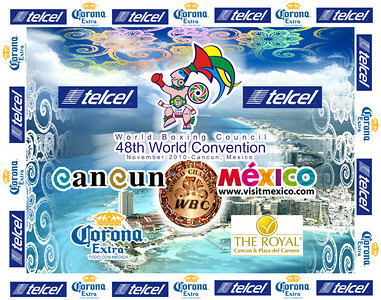 The World Boxing Council will celebrate its 48th Annual World Convention in Cancun, Mexico. But this is not a get away holiday, some work is being done and specifically with Muay Thai. Already named as WBC Muay Thai Asia Pacific Region president is Pamorn Martdee from Australia by Police General Kovid Bhakdibhumi. This makes Pamorn the youngest appointed president of any region thus far. According to Phon Martdee the North America, South America, Central America and Europe regions have already been assigned respective presidents as well. But the announcements for the WBC Muay Thai presidents will not be public until the conclusion of the WBC 48th Convention. The convention runs from October 31st to November 6th. While this is a laudable move and takes a big step at having a meaningful truly independent sanction for Muay Thai it’s not without concerns. Almost certainly the presidents will be gym owners and promoters or both. Who will watchdog these presidents to ensure they govern with fairness and impartiality? Is this too big of a conflict of interest to be entrusted with WBC Muay Thai stewardship? Is there someone not a promoter or gym owner competent enough in Muay Thai that could do the job? What should happen after this step is established is though WBC Muay Thai does a decent job of international rankings I have yet to see an itemized list for the respective countries like the United States, Australia, the UK and so forth. To that end I have requested this information so I can form an idea of the national picture as well as international ranking picture according to the WBC. Thus far I have gotten no reply. While its easy to choose WBC Muay Thai over the complete lack of rankings of the World Muaythai Council (WMC), blacklisting practices, trinket dispensing and overall incompetence and in my opinion corruption, the WBC should not be given an automatic pass without inspection. The only independent sanction power is granted by the fans, fighters and promoters of the sport. Fans and their opinions give any sanction their meaningfulness. Do fans know enough about Muay Thai in their own respective countries? Or will they end up being led around until they do know better? This next step will be a test for WBC Muay Thai in providing further clarity and meaningfulness overall to international Muay Thai. I would like to see region by region rankings updated, intelligently compiled and posted on the WBC Muay Thai website along with the overall world ranked fighters. Nothing provides clarity like total disclosure. The publicly accessible rankings of the world were a huge boon when released and included last title defenses and number one contenders. The international world of Muay Thai according to WBC was making a lot of sense. Matter of factly, other independent sanctions to this day in 2010 don’t have it and show no interest in having it. They and everyone else knows they serve only as a trinket dispenser, fee collector, and propaganda dispenser and little else. The challenge was set to make something meaningful internationally. WBC along with WPMF seem to be making some serious efforts towards that end. WMC announced they are making a new television show with Elite Boxing and it will be in 3D. The WBC convention event is attended by past legends , promoters and personalities of the sport. So while there is indeed a festive atmosphere surrounding this event I hope there can be some serious work done as well. WBC Muay Thai is now at this point of their early existence that I sense some momentum has developed behind them. I only hope they can press on in the right direction with the right tools in place. I’ll provide an update later and to see if my ranking questions ever gets addressed much less answered. This could be the step that brings WBC Muay Thai into future prominence or creates a new problem of a different flavor.